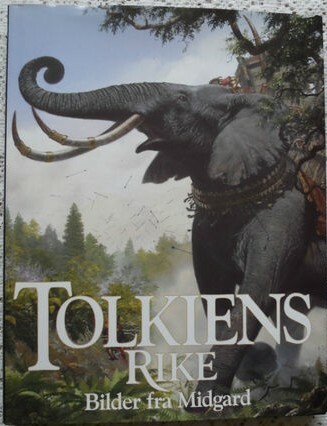 Tolkiens Rike or Tolkien's Realm is a book of illustrations inspired by the writing of J. R. R. Tolkien. The book includes many paintings and artwork in full colour from the most famous interpreters of Tolkien's work. Tolkiens Rike or Tolkien’s Realm is a book of illustrations inspired by the writing of J. R. R. Tolkien. The book includes many paintings and artwork in full colour from the most famous interpreters of Tolkien’s work. Please note this book is written in Norwegian. Dust wrapper is in vg condition, clean and bright, with minor wear to the extremities and light handling marks. the binding is secure and tight. Inside, the content is clean and fresh and in fine condition.